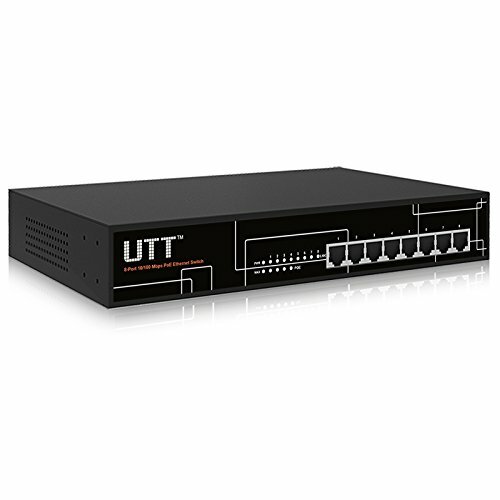 UTT S1080P 8-port PoE Ethernet switch is an unmanaged PoE switch designed to meet SMB, hotel and SOHO network needs. It offers superior performance, simple installation. Its salient features are the latest Ethernet power supply capacity with integrated high power PoE ports. S1080P provides 8 x 10/100Mbps ports, with 4 x 10/100Mbps PoE ports.